In the late 8th century, the counties of the March of Gothia and the Hispanic March were established by the Frankish kingdom as feudatory vassals across and near the eastern Pyrenees as a defensive barrier against Muslim invasions. The eastern counties of these marches were united under the rule of the Frankish vassal the Count of Barcelona, and were later called Catalonia. In 1137, Catalonia and the Kingdom of Aragon were united by marriage under the Crown of Aragon, and the Principality of Catalonia became the base for the Crown of Aragon's naval power and expansionism in the Mediterranean. In the later Middle Ages Catalan literature flourished. Between 1469 and 1516, the King of Aragon and the Queen of Castile married and ruled their kingdoms together, retaining all their distinct institutions, Courts (parliament), and constitutions. During the Franco-Spanish War (1635–1659), Catalonia revolted (1640–1652) against a large and burdensome presence of the Royal army in its territory, becoming a republic under French protection. Within a brief period France took full control of Catalonia, at a high economic cost for Catalonia, until it was largely reconquered by the Spanish army. Under the terms of the Treaty of the Pyrenees in 1659, which ended the wider Franco-Spanish War, the Spanish Crown ceded the northern parts of Catalonia, mostly incorporated in the county of Roussillon, to France. During the War of the Spanish Succession (1701–1714), the Crown of Aragon sided against the Bourbon Philip V of Spain, whose subsequent victory led to the abolition of non-Castilian institutions in all of Spain and the replacement of Latin and other languages (such as Catalan) with Spanish in legal documents. Miguel Carrasquer Vidal, finding serious shortcomings with earlier proposals (such as that an original -t- would have, by normal sound laws in the local Romance languages, developed into -d-), suggested an Arabic etymology: qattāl (قتالو), pl. qattālūn (قتالون) meaning "killer" could have been applied by Muslims to groups of raiders and bandits on the southern border of the Spanish March. The name, originally derogatory, could have been reappropriated by Christians as an autonym. This is comparable to attested development of the term Almogavar in nearby areas. In this model, the country name Catalunya derives from the plural qattālūn while the adjective and language name català derives from the singular qattāl, both with the addition of common Romance suffixes. In English, Catalonia is pronounced . The native name, Catalunya, is pronounced [kətəˈluɲə] in Central Catalan, the most widely spoken variety whose pronunciation is considered standard. The Spanish name is Cataluña ([kataˈluɲa]), and the Aranese name is Catalonha ([kataˈluɲɔ]). The first known human settlements in what is now Catalonia were at the beginning of the Middle Palaeolithic. The oldest known trace of human occupation is a mandible found in Banyoles, described by some sources as pre-Neanderthal some 200,000 years old; other sources suggest it to be only about one third that old. From the next prehistoric era, the Epipaleolithic or Mesolithic, important remains survive, the greater part dated between 8000 BC and 5000 BC, such as those of Sant Gregori (Falset) and el Filador (Margalef de Montsant). The Chalcolithic or Eneolithic period developed in Catalonia between 2500 and 1800 BC, with the beginning of the construction of copper objects. The Bronze Age occurred between 1800 and 700 BC. There are few remnants of this era, but there were some known settlements in the low Segre zone. The Bronze Age coincided with the arrival of the Indo-Europeans through the Urnfield Culture, whose successive waves of migration began around 1200 BC, and they were responsible for the creation of the first proto-urban settlements. Around the middle of the 7th century BC, the Iron Age arrived in Catalonia. In pre-Roman times, the area that is now called Catalonia in the north-east of Iberian Peninsula, like the rest of the Mediterranean side of the peninsula, was populated by the Iberians. The Iberians of this area (whose main peoples are Ilergetes, Indigetes, Lacetani or Cerretains) also maintain relations with the peoples of the Mediterranean. Some urban agglomerations became relevant, including Ilerda (Lleida) inland, Hibera (perhaps Amposta or Tortosa) or Indika (Ullastret). Coastal trading colonies were established by the ancient Greeks, who settled around the Gulf of Roses, in Emporion (Empúries) and Roses. Both Greeks and Carthaginians briefly ruled the territory in the course of the Second Punic War and traded with the surrounding Iberian population. After the Carthaginian defeat by the Roman Republic, the north-east of Iberia became the first to come under Roman rule and became part of Hispania, the westernmost part of the Roman Empire. Tarraco (modern Tarragona) was one of the most important Roman cities in Hispania and the capital of the province of Tarraconensis. Other important cities of the Roman period are Ilerda (Lleida), Dertosa (Tortosa), Gerunda (Girona) as well as the ports of Empuriæ (former Emporion) and Barcino (Barcelona). As for the rest of Hispania, Latin law was granted to all cities under the reign of Vespasian (69-79 AD), while Roman citizenship was granted to all free men of the empire by the Edict of Caracalla in 212 AD (Tarraco, the capital, was already a colony of Roman law since 45 BC). It is a rich agricultural province (olive oil, vine, wheat), and the first centuries of the Empire sees the construction of roads (the most important being the Via Augusta, parallel to Mediterranean coastline) and infrastructure like aqueducts. Christianity, attested in the 3rd century, was completed in urban areas in the 4th century. Although it remains under Roman rule and does not go under the rule of Vandals, Swabians and Alans in the 5th century, the main cities suffered frequent sacking and some desurbanization. In 987 Borrell II, Count of Barcelona, did not recognise Hugh Capet as his king, making his successors (from Ramon Borrell I to Ramon Berenguer IV) de facto independent of the Carolingian crown. At the start of eleventh century the Catalan Counties suffer an important process of feudalisation, partially controlled by the Peace and Truce Assemblies and by the power and negotiation skills of the Counts of Barcelona like Ramon Berenguer I. In 1137, Ramon Berenguer IV, Count of Barcelona decided to accept King Ramiro II of Aragon's proposal to marry Queen Petronila, establishing the dynastic union of the County of Barcelona with the Kingdom of Aragon, joining the Crown of Aragon and making the Catalan counties that were united under the county of Barcelona into a principality of the Aragonese Crown. In 1258, by means of the Treaty of Corbeil, the Count of Barcelona and King of Aragon, of Mallorca and of Valencia, James I of Aragon renounced his family rights and dominions in Occitania and recognised the king of France as heir of the Carolingian Dynasty. The king of France formally relinquished his nominal feudal lordship over all the Catalan counties, except the County of Foix, despite the opposition of the King of Aragon and Count of Barcelona. This treaty transformed the principality's de facto union with Aragon into a de jure one and was the origin of the definitive separation between both geographical areas Catalonia and Languedoc. In 1410, King Martin I died without surviving descendants. Under the Compromise of Caspe, Ferdinand from the Castilian House of Trastámara received the Crown of Aragon as Ferdinand I of Aragon. During the reign of his son, John II, social and political tensions caused the Catalan Civil War (1462-1472). Ferdinand II of Aragon, the grandson of Ferdinand I, and Queen Isabella I of Castile were married in 1469, later taking the title the Catholic Monarchs; subsequently, this event was seen by historiographers as the dawn of a unified Spain. At this time, though united by marriage, the Crowns of Castile and Aragon maintained distinct territories, each keeping its own traditional institutions, parliaments, and laws. Castile commissioned expeditions to the Americas and benefited from the riches acquired in the Spanish colonisation of the Americas, but, in time, also carried the main burden of military expenses of the united Spanish kingdoms. After Isabella's death, Ferdinand II personally ruled both kingdoms. Over the next few centuries, the Principality of Catalonia was generally on the losing side of a series of wars that led steadily to more centralization of power in Spain. Despite this fact, between the 16th and 18th centuries, the participation of the political community in the local and the general Catalan government was increased, while the kings remained absent and its constitutional system continued to consolidate. The Catalan Revolt (1640–1652) saw Catalonia rebel (briefly as a republic lead by Pau Claris) with French help against the Spanish Crown for overstepping Catalonia's rights during the Thirty Years' War. Most of Catalonia was reconquered by the Spanish monarchy but Catalan rights were recognised. Roussillon was lost to France by the Peace of the Pyrenees (1659). At the beginning of the nineteenth century Catalonia was severely affected by the Napoleonic and Carlist Wars. In the latter half of the 19th century, it became an industrial center. To this day it remains one of the most industrialised parts of Spain. During those years, Barcelona was the focus of important revolutionary uprisings, while the Catalan language saw a cultural renaissance (the Renaixença). The Anarchists had been active throughout the early 20th century, achieving the first eight-hour workday in Europe in 1919. In the first third of the 20th century, Catalonia gained and lost varying degrees of autonomy several times. In 1914, the four Catalan provinces were authorized to create a Commonwealth (Mancomunitat), without any legislative power or specific autonomy, that was disbanded in 1925 by the dictatorship of Primo de Rivera. After the fall of the dictator and a brief proclamation of the Catalan Republic, it received its first Statute of Autonomy during the Second Spanish Republic (1931), establishing an autonomous body, the Generalitat of Catalonia, which included a parliament, a government and a court of appeal, and the left-wing independentist leader Francesc Macià was elected its first President. The governments of the Republican Generalitat tried to implement an advanced social program. This period was marked by political unrest and the preeminence of Revolutionary Catalonia during the Spanish Civil War (1936–1939). The defeat of the Second Spanish Republic in the Spanish Civil War brought fascist Francisco Franco to power as dictator. His regime imposed linguistic, political and cultural restrictions across Spain. In Catalonia, any kind of public activities associated with Catalan nationalism, republicanism, anarchism, socialism, liberalism, democracy or communism, including the publication of books on those subjects or simply discussion of them in open meetings, was banned. During later stages of Francoist Spain, certain folkloric and religious celebrations in Catalan resumed and were tolerated. Use of Catalan in the mass media had been forbidden, but was permitted from the early 1950s in the theatre. Despite the ban during the first years and the difficulties of the next period, publishing in Catalan continued throughout the dictatorship. After Franco's death in 1975, Catalonia voted for the adoption of a democratic Spanish Constitution in 1978, in which Catalonia recovered political and cultural autonomy, restoring the Generalitat (exiled since the end of the Civil War in 1939) in 1977 and adopting a new Statute of Autonomy in 1979. Today, Catalonia is one of the most economically dynamic communities of Spain. The Catalan capital and largest city, Barcelona, is a major international cultural centre and a major tourist destination. In 1992, Barcelona hosted the Summer Olympic Games. The new Statute of Autonomy of Catalonia, approved after a referendum in 2006, was contested by important sectors of the Spanish society, especially by the conservative Popular Party, which sent the law to the Constitutional Court of Spain. 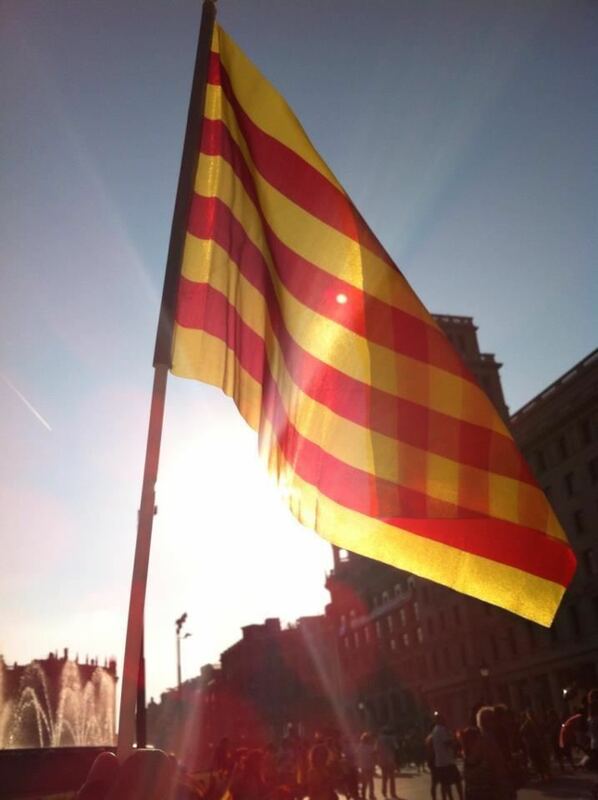 In 2010, the Court declared non valid some of the articles that established an autonomous Catalan system of Justice, better aspects of the financing, a new territorial division, the status of Catalan language or the symbolical declaration of Catalonia as a nation. This decision was severely contested by large sectors of Catalan society, which increased the demands of independence. On 9 November 2015, Catalan lawmakers approved a plan for secession from Spain by 2017 with a vote 72 to 63. The plan was suspended by the Spanish Constitutional Court, although the Catalan government has insured that it will complete the plan despite the suspension. The Catalan Mediterranean system is based on two (more or less) parallel ranges to the coast, in a Northwest direction towards the Southwest. These two mountain ranges are the Coastal and the Pre-Coastal. The Coastal Range is minor extent and it has lower altitudes, while the Pre-Coastal is larger in both length and height. 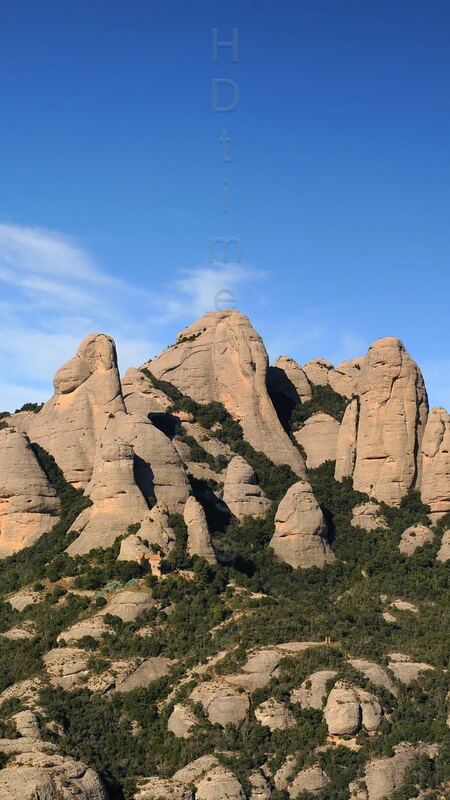 The most relevant mountains of this area are Montserrat and the Montseny. Within the ranges are a series of plains, the entities over which form the Coastal and the Pre-Coastal Depressions. The Coastal Depression is located on the East of the Coastal Range towards the coast. The Pre-Coastal, on the other hand, is located in the interior, between the two mountain ranges, and constitutes the basis of the plains of Vallès and Penedès. The hydrographic network can be divided in two sectors, an occidental slope or Ebre river slope and one oriental slope constituted by minor rivers that flow to the Mediterranean along the Catalan coast. The first slope provides an average of 18,700 cubic hectometres (4.5 cubic miles) per year, while the second only provides an average of 2,020 hm3 (0.48 cu mi)/year. The difference is due to the big contribution of the Ebre river, from which the Segre is an important tributary. 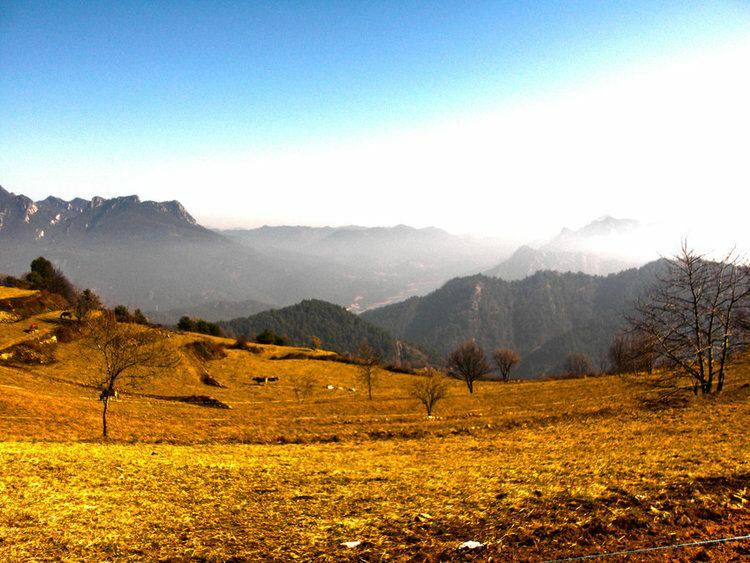 Moreover, in Catalonia there is a relative wealth of groundwaters, although there is inequality between comarques, given the complex geological structure of the territory. In the Pyrenees there are many small lakes, remnants of the ice age. The biggest is the one of Banyoles. Since 2011 when the question started to be regularly surveyed by the governmental Center for Public Opinion Studies (CEO), support for Catalan independence has been on the rise. According to the CEO opinion poll from July 2016, 47,7% of Catalans would vote for independence and 42,4% against it while, about the question of preferences, according to the CEO opinion poll from March 2016, a 57.2 claim to be "absolutely" or "fairly" in favour of independence. Two major factors were Spain's Constitutional Court's 2010 decision to declare part of the 2006 Statute of Autonomy of Catalonia unconstitutional, as well as the fact that Catalonia contributes 19.49% of the central government’s tax revenue, but only receives 14.03% of central government's spending. In the November 25, 2012 Catalan parliamentary election, sovereigntist parties supporting a secession referendum gathered 59.01% of the votes and held 87 of the 135 seats in the Catalan Parliament. Parties supporting independence from the rest of Spain obtained 49.12% of the votes and a majority of 74 seats. Artur Mas, the president of Catalonia, organised early elections that took place on 27 September 2015. In these elections, Convergència and Esquerra Republicana decided to join, and they presented themselves under the coalition named "Junts pel Sí" (in Catalan, "Together for Yes"). "Junts pel Sí" won 62 seats and was the most voted party, and CUP (Candidatura d'Unitat Popular, a far-left and independentist party) won another 10, so the sum of all the independentist forces/parties was 72 seats, reaching an absolute majority, but not in number of individual votes, comprising 47,74% of the total. The Catalan Statute of Autonomy establishes that Catalonia is organised politically through the Generalitat of Catalonia, conformed by the Parliament, the Presidency of the Generalitat, the Government or Executive Council and the other institutions created by the Parliament. The Parliament of Catalonia (in Catalan: Parlament de Catalunya) is the legislative body of the Generalitat and represents the citizens of Catalonia. It is elected every four years by universal suffrage, and it has powers to legislate in different matters such as education, health, culture, internal institutional and territorial organization, election and control of the President of the Generalitat and the Government, budget and others, according with the Statute of Autonomy. The last Catalan election was held on 27 September 2015, and its current president is Carme Forcadell, incumbent since that year. The President of the Generalitat of Catalonia (in Catalan: President de la Generalitat de Catalunya) is the highest representative of Catalonia, and is also responsible of leading the government's action. Since the restoration of the Generalitat on the return of democracy in Spain, the presidents of Catalonia have been Josep Tarradellas (1977–1980, president in exile since 1954), Jordi Pujol (1980–2003), Pasqual Maragall (2003–2006), José Montilla (2006–2010), Artur Mas (2010–2016) and Carles Puigdemont, incumbent as of 2017. The Executive Council (in Catalan: Consell Executiu) or Government (Govern), is the body responsible of the government of the Generalitat, it holds executive and regulatory power. It comprises the President of the Generalitat, the First Minister (or the Vice President) and the Ministers. Its seat is the Palau de la Generalitat, in Barcelona. Most of the justice system is administered by national judicial institutions, the highest body and last judicial instance in the Catalan jurisdiction, integrating the Spanish judiciary, is the High Court of Justice of Catalonia. The criminal justice system is uniform throughout Spain, while civil law is administered separately within Catalonia. The civil law that are subject to autonomous legislation have been codified in the Civil Code of Catalonia (Codi civil de Catalunya) since 2002. There are at present 948 municipalities (municipis) in Catalonia. Each municipality is run by a council (ajuntament) elected by the residents in local elections. The council consists of a number of members (regidors) depending on population, who elect the mayor (alcalde or batlle). Its seat is the town hall (ajuntament, casa de la ciutat or casa de la vila). Highly industrialized land, the nominal GDP of Catalonia in 2014 was €200 billion (the highest of Spain) and the per capita GDP was €27,000($30,000), behind Madrid (autonomous community) (€31,000), the Basque Country (€30,000), and Navarre (€28,000). In that year, the GDP growth was 1.4%. In the last years there has been a negative net relocation rate of companies based in Catalonia moving to other autonomous communities of Spain. In 2014 Calalonia lost 987 companies to other parts of Spain (mainly Madrid), getting 602 new ones from the rest of the country. As of 2016 the official population of Catalonia was 7,448,332. About 1,104,782 residents had non-Spanish nationalities representing about 15% of the population. Roman Catholicism is, by far, the largest religion in Catalonia. According to a study by Center for Sociological Research, In 2012, the proportion of Catalans that identify themselves as Roman Catholic was 60.7%, while it is one of the most secularized communities of Spain: 19.0% were non-religious and 15.2% of Catalans were atheist. Recently, some of these policies have been criticised for trying to promote Catalan by imposing fines on businesses. For example, following the passage of a March 2010 law on Catalan cinema, which establishes that half of the movies shown in Catalan cinemas must be in Catalan, a general strike of 75% of the cinemas took place. In Catalonia, on the other hand, there is a high social and political consensus on the language policies favoring Catalan, also among Spanish speakers and speakers of other languages. The United Nations Human Rights Committee ruled in 1993 against similar policies in Quebec stating that "A State may choose one or more official languages but it may not exclude outside the spheres of public life, the freedom to express oneself in a certain language". The US government, based on its Human Rights Report, questions the linguistic law and reports irregularities of the rights of the Spanish speakers in Catalonia. On the other hand, such organisations as Plataforma per la Llengua reported different violations of the linguistic rights of the Catalan speakers in Catalonia and the other Catalan-speaking territories in Spain, most of them caused by the institutions of the Spanish government in these territories. Catalonia has given to the world many important figures in the area of the art. Catalan painters internationally known are Salvador Dalí, Joan Miró and Antoni Tàpies. Closely linked with the Catalan pictorial atmosphere, Pablo Picasso lived in Barcelona during his youth, training them as an artist and creating the movement of cubism. Other important artists are Ramon Casas, Josep Maria Subirachs and Marià Fortuny. The most important painting museums of Catalonia are the Teatre-Museu Dalí, Picasso Museum, Fundació Antoni Tàpies, Joan Miró Foundation, the National Art Museum of Catalonia (MNAC), the Barcelona Museum of Contemporary Art (MACBA), the Centre of Contemporary Culture of Barcelona (CCCB) and the CaixaForum. In the area of architecture were developed and adapted to Catalonia different artistic styles prevalent in Europe, leaving footprints in many churches, monasteries and cathedrals, of Romanesque (the best examples of which are located in the northern half of the territory) and Gothic styles. During the Middle Ages, many fortified castles were built by feudal nobles to mark their powers. There are some examples of Renaissance, Baroque and Neoclassical architectures. Modernism (Art Nouveau) in the late nineteenth century appears as the national art. The world-renowned Catalan architects of this style are Antoni Gaudí, Lluís Domènech i Montaner and Josep Puig i Cadafalch. In the field of architectural rationalism, highlighting Josep Lluís Sert and Torres Clavé and, in contemporany architecture, Ricardo Bofill. The second moment of splendor began in the 19th century with the cultural and political Renaixença (Renaissance) represented by writers and poets such as Jacint Verdaguer, Narcís Oller, Joan Maragall and Àngel Guimerà. During the 20th century were developed the avant-garde movements represented by Josep Carner, Carles Riba, J.V. Foix and others. During the Civil War and the Francoist period the most prominent authors were Josep Pla, Mercè Rodoreda and Salvador Espriu. The sardana is considered the most characteristic Catalan popular dance, other groups also practice Ball de bastons, moixiganga, galops or jota in the southern part. The Havaneres are characteristic in some marine localities of the Costa Brava, especially during the summer months when these songs are sung outdoors accompanied by a cremat of burned rum. Performances of opera, mostly imported from Italy, began in the 18th century, but some native operas were written as well, including the ones by Isaac Albéniz and Enric Granados. The Barcelona opera house, Gran Teatre del Liceu (opened in 1847), remains one of the most important in Spain. Cellist Pau Casals is admired as an outstanding player. Some music styles born during the 20th century are Catalan rumba, Nova Cançó, Catalan rock and indie pop. Catalonia is the autonomous community, along with Madrid, with more media, in Catalan and Spanish languages. Televisió de Catalunya, which broadcasts entirely in Catalan language, is the main Catalan public TV. It has five channels: TV3, Canal 33, 324, Esport3 and Canal Super3. TV3 compete in audience with the State televisions that broadcast in Catalonia in Spanish language: Televisión Española (with few emissions in Catalan), Tele 5, Antena 3, Cuatro i La Sexta. Other smaller television audience, with remarkable presence are 8TV, television broadcast of the private Grup Godó, Canal Català TV (Now named El Punt Avui TV), Barça TV and the local televisions, the greatest exponent of which is Barcelona TV, which also broadcast in Catalan. The two main Catalan newspapers of general information are El Periódico de Catalunya and La Vanguardia, both with editions in Catalan and Spanish. There are also some important newspapers published only in Catalan, Ara and El Punt Avui (from the fusion of El Punt and Avui in 2011), as well as most part of the local press. The Spanish newspapers, such as El País, El Mundo or La Razón, can be also acquired. The public Catalunya Ràdio and the private RAC 1 (belonging to Grup Godó) are the two main radios of Catalonia, both in Catalan. Sport has an important incidence in Catalan life and culture since the beginning of the 20th century and, as a result, it has a well developed sport infraestructure. The main sports are football, basketball, handball, rink hockey, tennis and motorsport. Despite the fact that the most popular sports are represented outside by the Spanish national teams, Catalonia can officially play as itself in some others, like korfball, futsal or rugby league. The Catalan Football Federation also periodically fields a national team against international opposition, organizing friendly matches. In the recent years they have played with Bulgaria, Argentina, Brazil, Basque Country, Colombia, Nigeria, Cape Verde and Tunisia. The biggest football clubs are FC Barcelona (also known as Barça), which has won 5 European Champions Leagues, 4 UEFA Cup Winners' Cups, and RCD Espanyol, which has been twice runner-up of the UEFA Cup. Both play in La Liga. Motorsport has a long tradition in Catalonia involving many people, with some world champions and several competitions organized since the beginning of the 20th century. The Circuit de Catalunya, built in 1991, is one of the main motorsport venues, holding the Catalan motorcycle Grand Prix, the Spanish F1 Grand Prix, a DTM race, and several other races. Catalonia hosted many relevant international sport events, such as the 1992 Summer Olympics in Barcelona, and also the 1955 Mediterranean Games or the 2013 World Aquatics Championships. It held annually the fourth-oldest still-existing cycling stage race in the world, the Volta a Catalunya (Tour of Catalonia). Catalan gastronomy has a long culinary tradition. Its culinary processes are described in documents since the fifteenth century. As all the cuisines of the Mediterranean, makes abundant use of fish, seafood, olive oil, bread and vegetables. The specialties are numerous and include the pa amb tomàquet (bread with tomato), which consists of bread, sometimes toasted, with tomato rubbed over and seasoned with olive oil and salt and usually served accompanied with any sorts of sausages (cured botifarres, fuet, iberic ham, etc. ), ham or cheeses. Others are the calçotada, escudella i carn d'olla, suquet de peix (fish stew) and, as dessert, the Catalan cream. Wine land, the Catalan vineyard has several Denominacions d'Origen such as Priorat, Montsant, Penedès and Empordà, and also found there a sparkling, the cava. Catalonia is also internationally recognized for its high cuisine, including restaurants like El Bulli or El Celler de Can Roca, who regularly dominate international rankings.